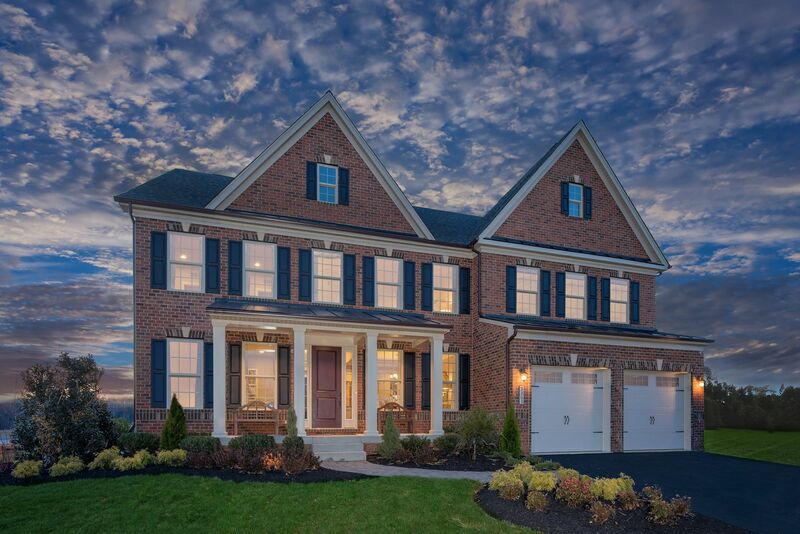 Can you still find a luxurious new home in a good Baltimore-area location? You can at Westmount in Ellicott City! Set close to I-70 and Routes 29 and 40, Westmount is a rare opportunity to own a gorgeous new home just minutes from everywhere you want to be. It’s in the Howard County Public School District, close to Marriotts Ridge High School. Plus, it’s just moments from shopping, dining and recreation. Just down the road, you’ll find The Mall in Columbia with its wealth of stores and restaurants. Just as close is downtown Ellicott City where you can stroll historic streets and dine in local cafés. Nearby Patapsco Valley State Park gives you all kinds of ways to enjoy the outdoors. On top of all that, Turf Valley Golf Course is within easy reach, allowing you to play a round close to home. Finally, you can build a luxury home up to 6,500 sq. ft. with plenty of space for your growing family and out-of-town guests. Get all the stately details and curb appeal you expect from NVHomes - already included! You can even add a ground-floor guest suite for live-in family members or finish the rec room and get a full bath included! Whether you work in Baltimore, Washington, DC, or elsewhere in the region, you want to come home to a community that puts you close to the best. That community is Westmount in Ellicott City. Phase 2 arrivesSummer 2019. Join ourPriority List today for VIP access.